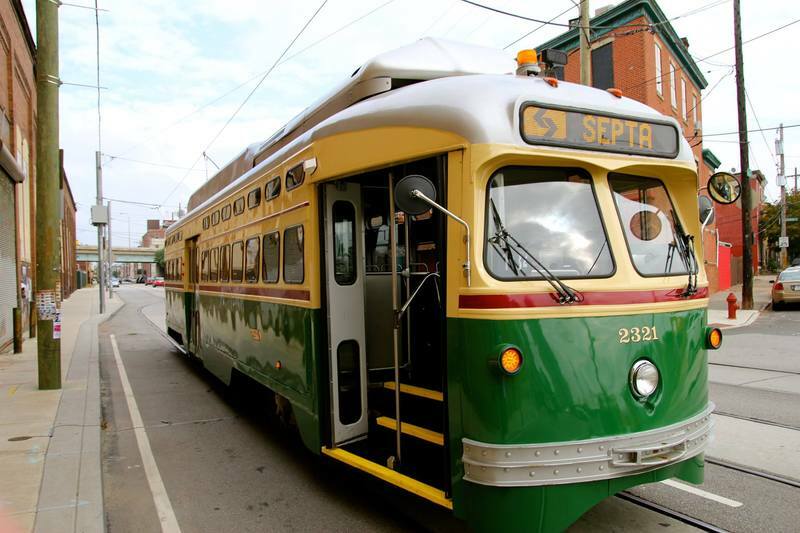 This week, we’ll be exploring the SEPTA's Route 15 Trolley! The Route 15 runs along Girard Avenue, electrified by overhead lines. 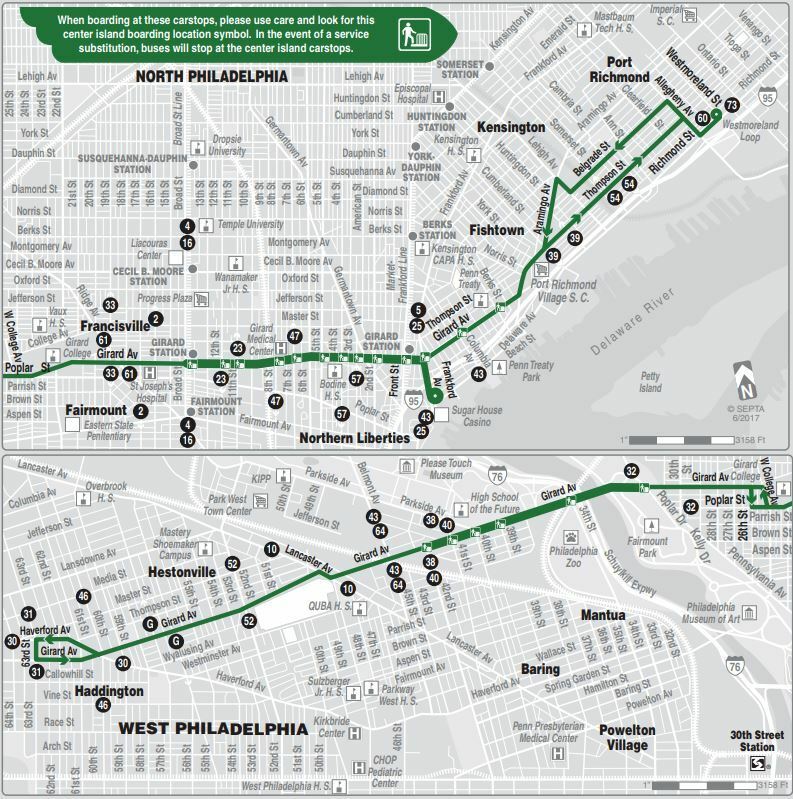 The Route 15 terminates at Girard & 63rd in West Philadelphia and Richmond & Westmoreland in the North Philadelphia. The Route 15 is one of SEPTA’s most unique routes, using historic streetcars to carry passengers. The vehicles that currently operate on Route 15 are old Presidents’ Conference Committee streetcars that operated during the World War II era. After years of planning and preparation by the American Public Transportation Association (APTA) and SEPTA, these heritage streetcars were returned to service in Philadelphia on September 4, 2005. 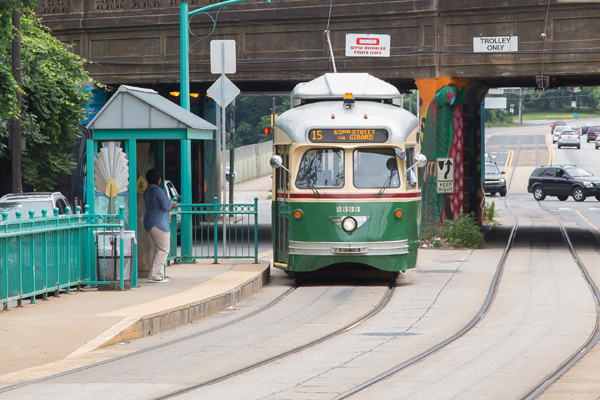 While SEPTA has eight other trolley routes, but the Route 15 is the only that uses heritage streetcars. The green heritage streetcar is unique to the Route 15. The Route 15 provides Nite Owl Service, operating 24 hours a day, seven days a week. On a typical weekday, the Route 15 carries 5,450 passengers and makes 196 trips. As it travels along Girard Avenue, the Route 15 passes Philadelphia landmarks like the Philadelphia Zoo, Girard College, and Girard Medical Center. The Route 15 connects with the Market-Frankford Line at the intersection of Front & Girard and the Broad Street Line at the intersection of Broad & Girard. The Route 15 travelling along Girard Ave.